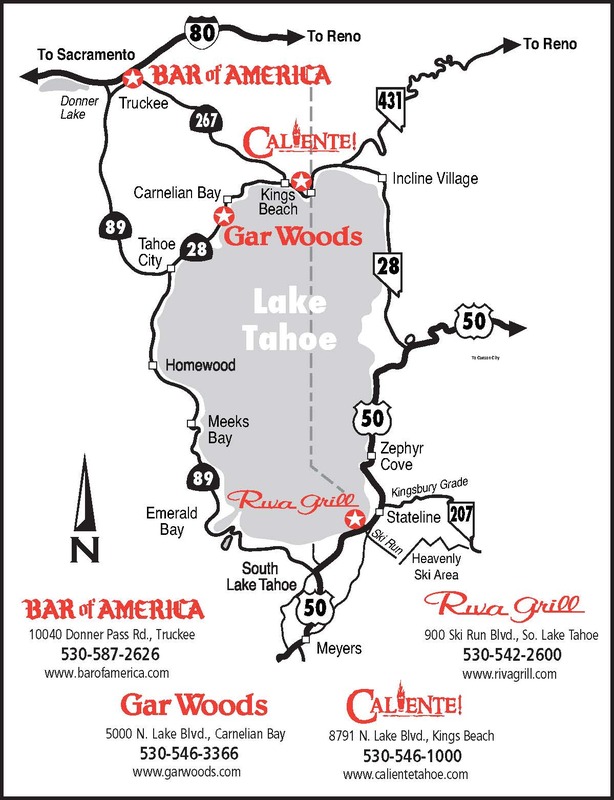 Gar Woods is ideally situated on the north shore of Lake Tahoe in beautiful Carnelian Bay and showcases the nostalgic ambiance of Tahoe’s classic wooden boat era. Our waterfront location offers sweeping vistas of the lake and surrounding mountains, providing an unparalleled setting for a spectacular event on the lake. Our beautiful view, outstanding food, and central location make Gar Woods one of the finest banquet facilities on Lake Tahoe. The easily accessible long pier offers great possibilities for those wanting to make a dramatic entrance or exit by boat. Upstairs, private dining rooms can accommodate groups of up to 150. A lake view balcony runs the length of both rooms and serves as a great space for cocktails. With floor-to-ceiling windows and an “Old Tahoe” feeling with exposed beam ceilings and hickory chairs, our facilities are hard to beat. For groups larger than 150, our coveted amenity, the deck may also be reserved along with the entire restaurant for your special event. Gar Woods is competitively priced and we strive to surpass the competition in our commitment to providing uncompromising service and exceptional food. We will work with you to ensure your special day is all you’ve ever wished for. A qualified banquet professional will supervise your event from start to finish. Our chef will oversee the preparation of your food from kitchen facilities used exclusively for private parties. In our Banquet Packet, we are happy to provide a long list of area professionals ready to assist with special services like flowers, cakes, and music.